Following news that the Graham-Cassidy health care plan would not receive a vote, Senate Democrats said that they were ready to move forward with the GOP to better the Affordable Care Act. 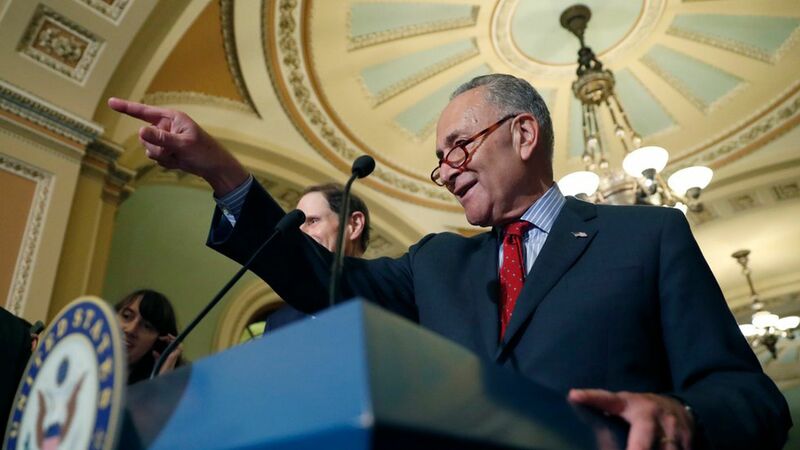 At the Democrats' weekly press conference, Chuck Schumer said, "We are ready at this moment to roll up our sleeves and work in a bipartisan way to stabilize this system and make improvements." One more thing: Schumer said that he'd spoken with Puerto Rico's governor and pushed back on President Trump's comments that recovery efforts in Puerto Rico were going well, saying, "I'm not blaming. I'm beseeching for quick action…It is not going fine. Absolutely not. They need help now."